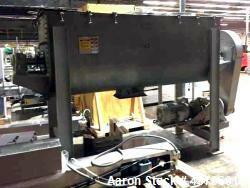 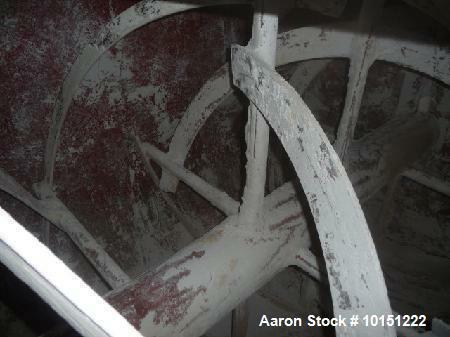 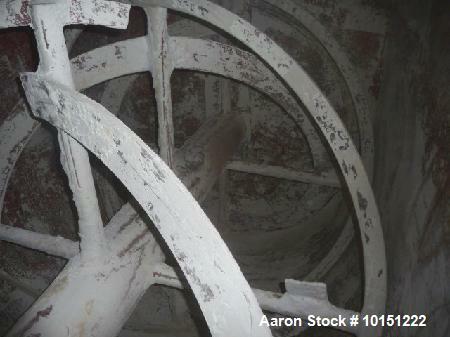 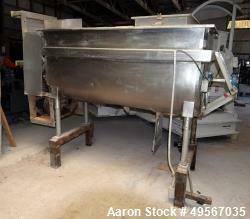 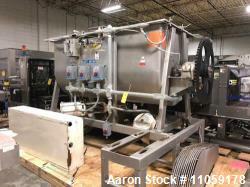 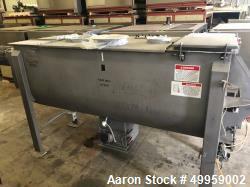 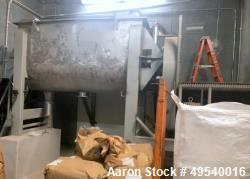 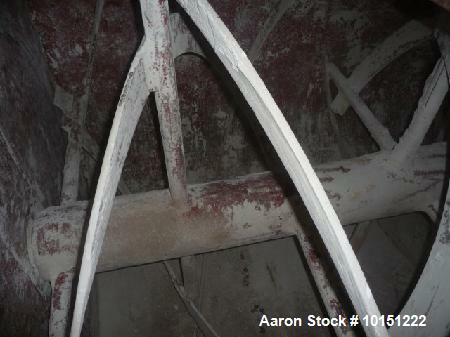 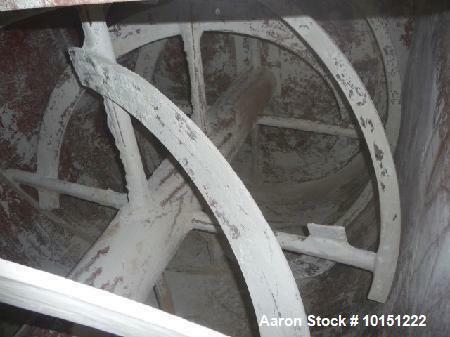 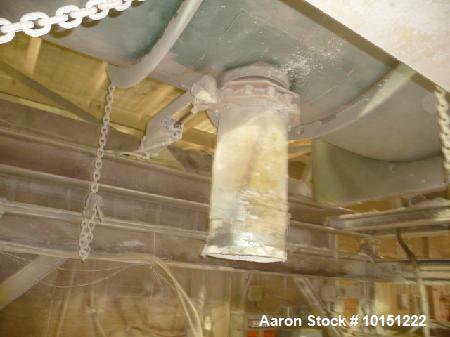 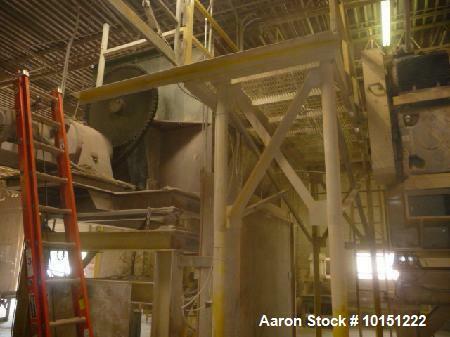 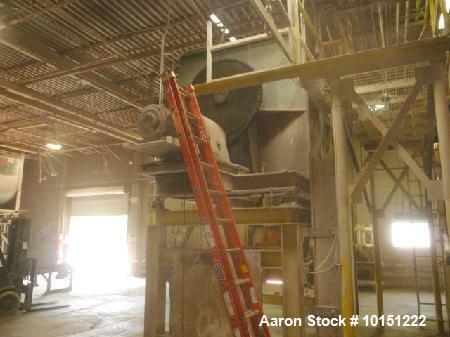 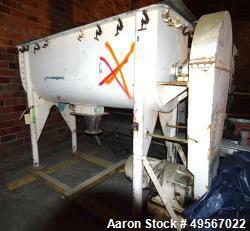 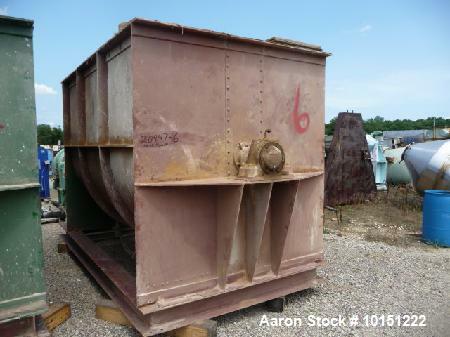 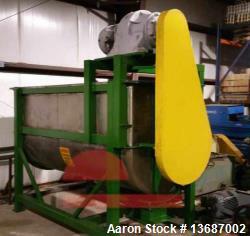 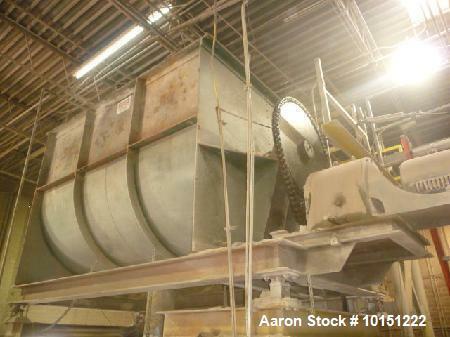 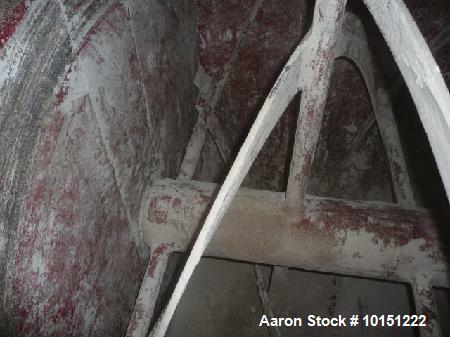 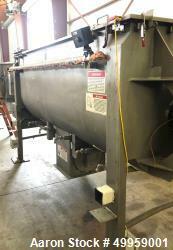 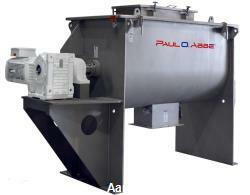 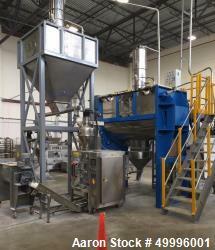 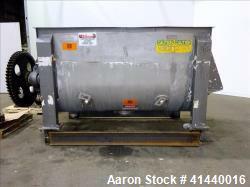 Used- Double Ribbon Mixer. 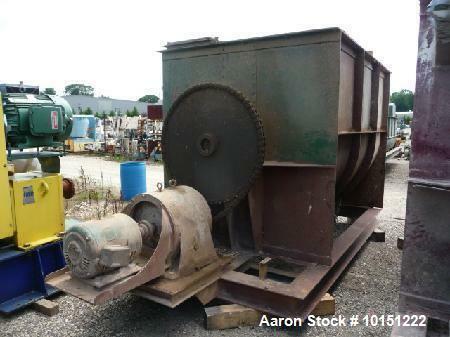 Approximately 320 cubic foot working capacity, chain driven by 30 hp motor. 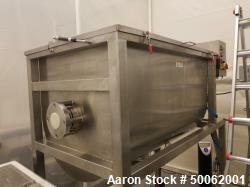 Has 12" diameter air actuated center bottom outlet, 2.5" wide outer ribbon, 5" wide inner ribbon. 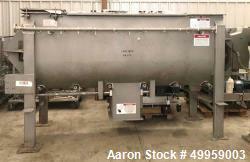 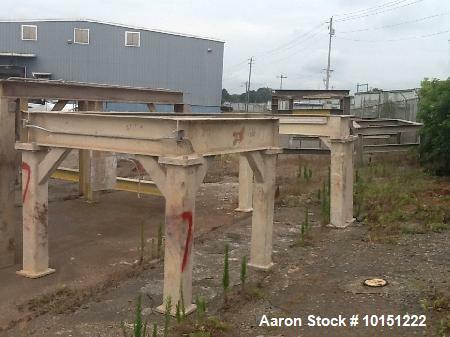 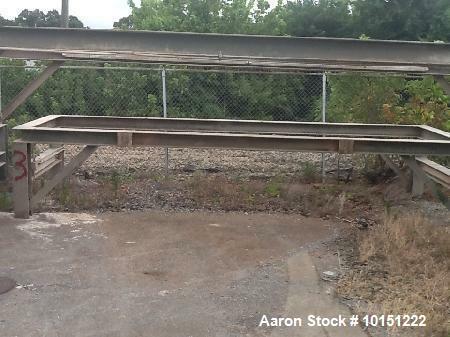 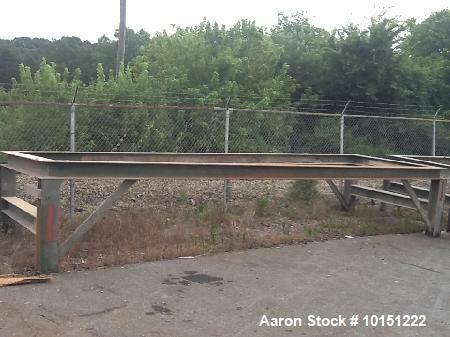 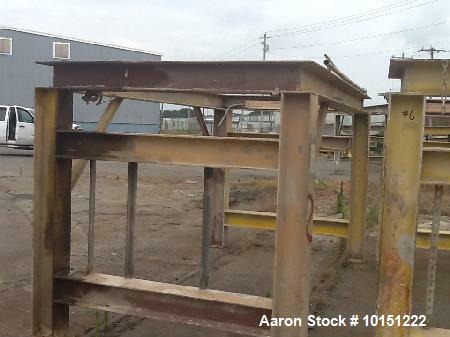 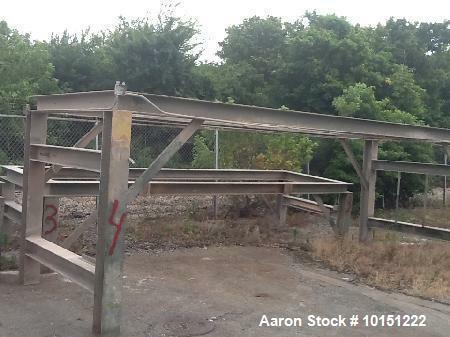 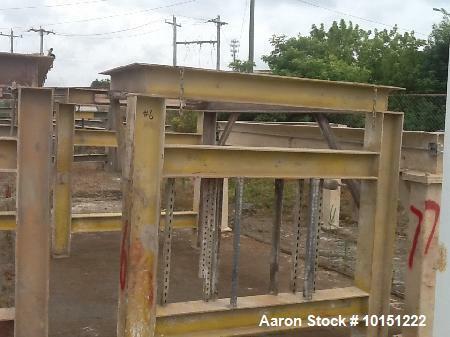 Includes non-jacketed steel chamber 76" wide 120" Long. 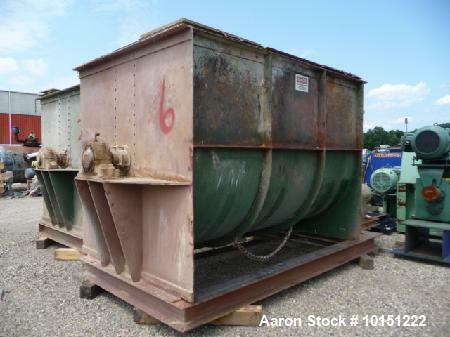 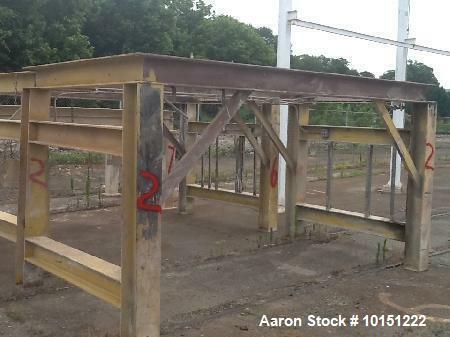 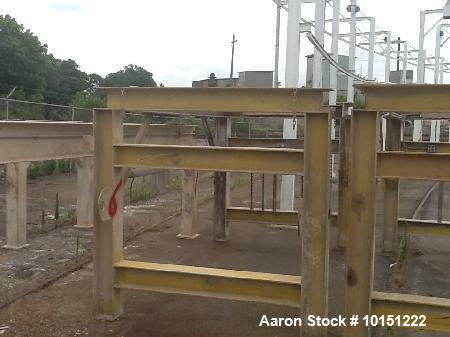 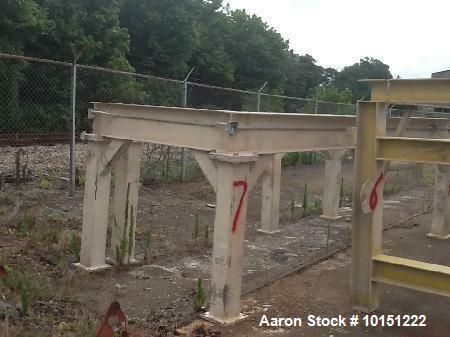 Currently mounted on stand supplying approximately 6' discharge height, mounted on load cells with load cell control. 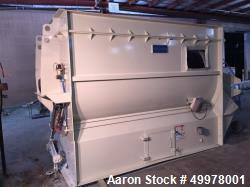 Includes top cover.